**Post Hurricane Michael Update: Scallop Cove #1 has had a full remodel and is available now. We will be updating images soon. The community boardwalk/dock is currently being worked on and we hope to have it completed by April 1st. Look forward to having you! 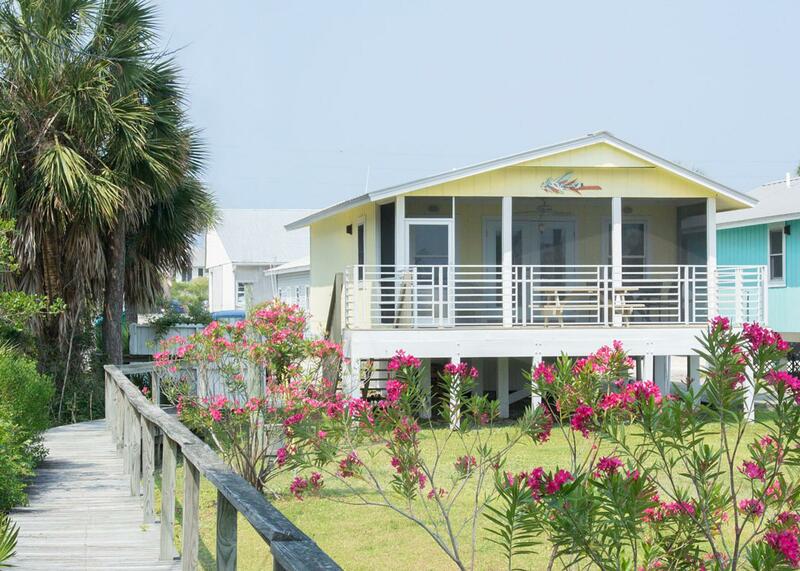 Scallop Cove #1 is a pet-friendly two bedroom cottage on St. Joe's Bay with deeded beach and bay access, screened in porch, dock, and large yard! 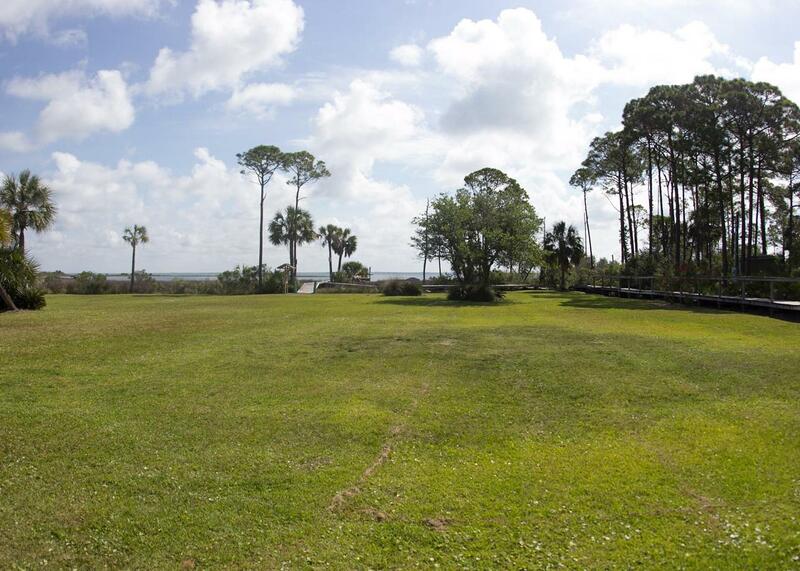 This home is situated on beautiful St. Joe Bay with an amazing view! This home has two bedrooms with one king bed and a twin over queen in the bunk room. The cottage is just steps from one of the best bait and tackle shops on the Cape who will be happy to share all the secrets on how to catch local fish. 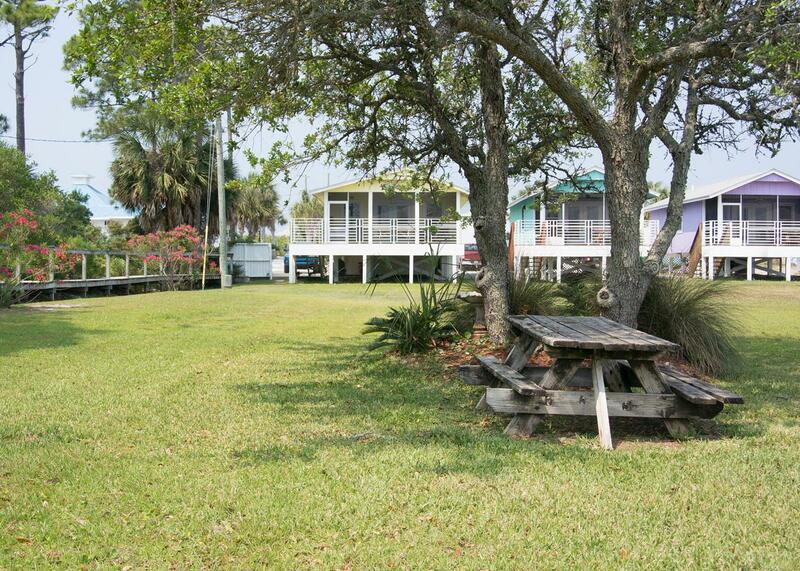 The wide porch with wonderful bay breezes will quickly become your favorite spot! "We recently spent too few days at this amazing beach cottage in Cape San Blast. Just sitting in the screened in porch looking over the grass to the dock and water right in front of you as the sun sets...Truly I must say, I have found my happy place! The cottage itself was perfect. Elegant but comfortable. It has everything you could need or want. The walk to the beach is nothing. You go out, walk past a small local store and cross the road, then take a beach access right to the beautiful white sand beach. The most stunning, pristine, quiet beach you've ever seen is literally steps away. I have small children (three under 6yo), so convenience is key. I couldn't have been happier. There are some really fantastic restaurants nearby as well (with amazing seafood of course!!). We cannot wait to go back. It's the only place I ever want to go (I'm not exaggerating, it is my happy place!). We just absolutely loved it!!!" "This cottage is perfect! The view is breathtaking and so relaxing! We had everything we needed furnished for us which was nice. The colors are perfect for the beach and we were impressed we had a home phone, wifi and all tv stations. The screened porch was an added bonus. Be sure and star gaze on the dock, i have never seen so many stars! Easy access to the beautiful beach with no traffic and friendly people everywhere. We will be back!"